Special Price! Save 50% while our supply lasts! 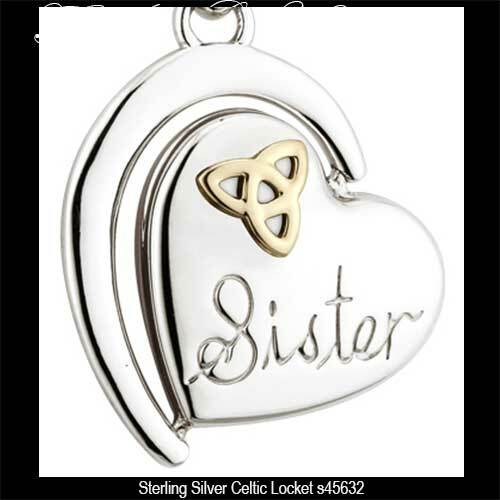 This sterling silver Celtic necklace is heart shaped and features the word sister engraved along with a gold plated Trinity knot. The Celtic pendant measures 3/4" wide x 1" tall, including the jump ring and the chain bail, and it includes an 18" long sterling silver chain. 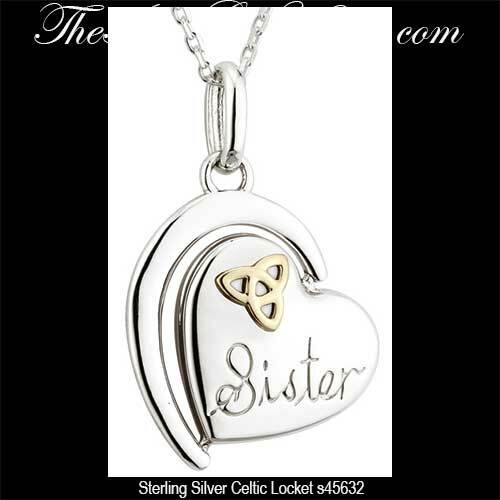 The Irish sister necklace is mounted on a swivel post that allows rotation and it is enhanced with the words "There is not a sister in the world more special than you.” engraved on the reverse side. The Irish sister necklace is gift boxed with a Celtic knot history card, compliments of The Irish Gift House, and it is made in Dublin, Ireland by Solvar Jewelry.